In 1894, the first Falmouth Art Gallery opened in Grove Place under the joint Directorship of Henry Scott Tuke and William Ayerst Ingram. For the next seventeen years, this commercial gallery was a focus of activity for artists from Falmouth and further afield. 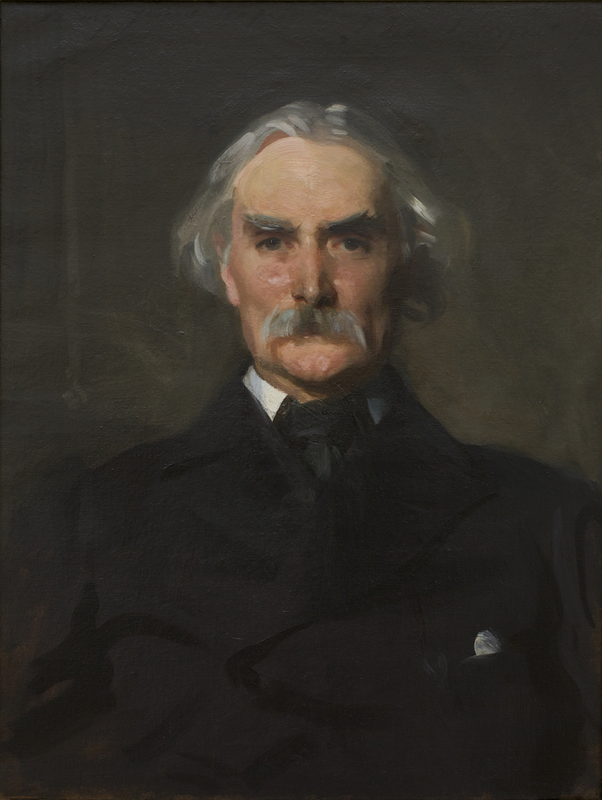 To mark its 120th anniversary, this exhibition brings together work by some of the artists who exhibited there, including Tuke and Ingram, Sophie Anderson, Frank Bramley, Richard Harry Carter, Elizabeth Forbes, Stanhope Forbes, Norman Garstin, Thomas Cooper Gotch, Winifred Freeman, Charles Napier Hemy, Laura Knight, John Singer Sargent and James McNeill Whistler. To celebrate all things Victorian we thought we would hang one wall in the style of its time, using anaglypta wallpaper and a dado rail beneath a double hung selection of art!